Wednesday April 17, 2019-Machakos Governor, Alfred Mutua, has finally disclosed why he rarely attends weekend functions and rallies like funerals, which are very popular among the political class. 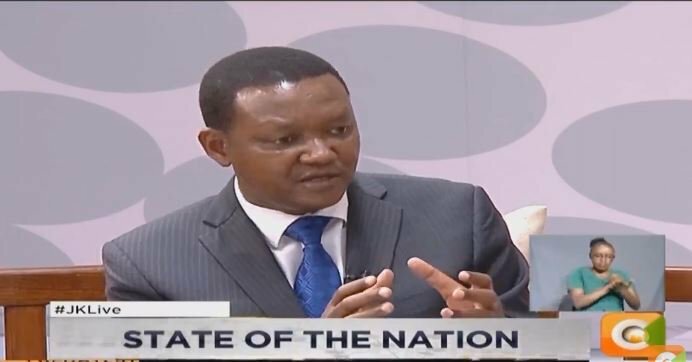 Speaking on Radio Maisha yesterday, morning, Mutua stated that he has never been a fan of event politicking, terming it a primitive exercise which he cannot engage in. He said that he comes from a different school of politics where politics is done honorably, and cannot take advantage of such functions as funerals for political mileage. "Hautawahi niona katika matanga eti nataka kujua ni nani anayzikwa maana that is not my brand of politics. Its old and primitive kind of politicking (I will never be spotted at funerals because such is not my brand of politics)," Mutua stated. He called on Kenyans to reject all the politicians doing politics in funerals instead elect leaders who will serve them diligently and honestly.